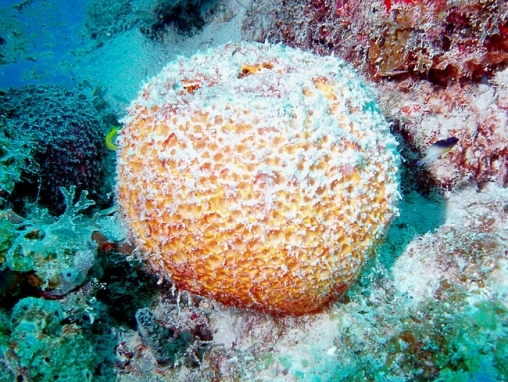 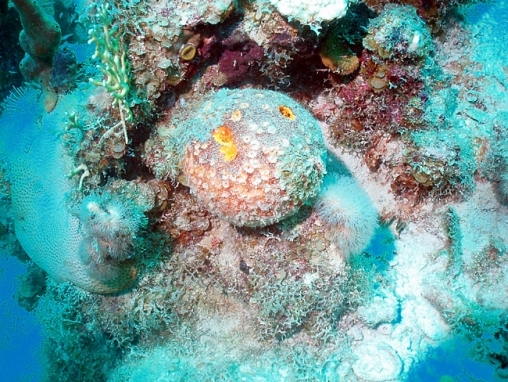 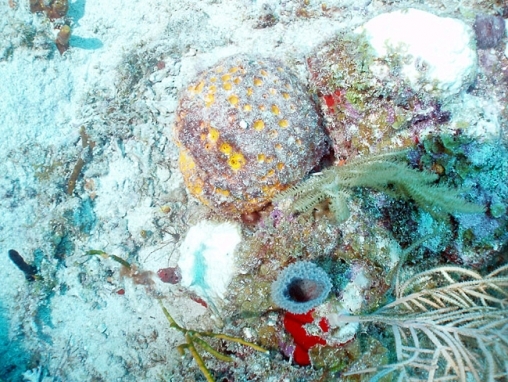 A roughly spherical sponge rarely more than 30 cm across. 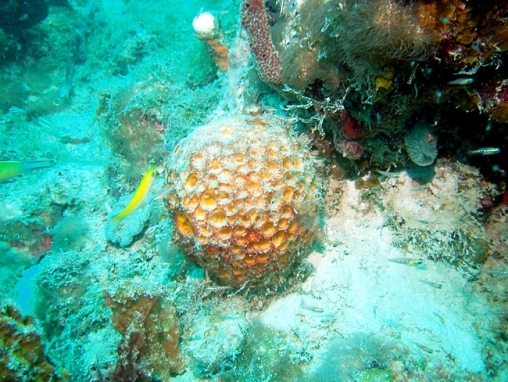 Its tissue is bright yellow, with ’golf ball’ like depressions. 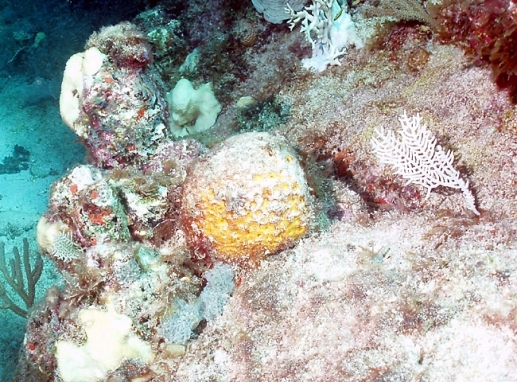 However, its surface may have a covering with fine algae and sediments, concealing much of its colour and surface. 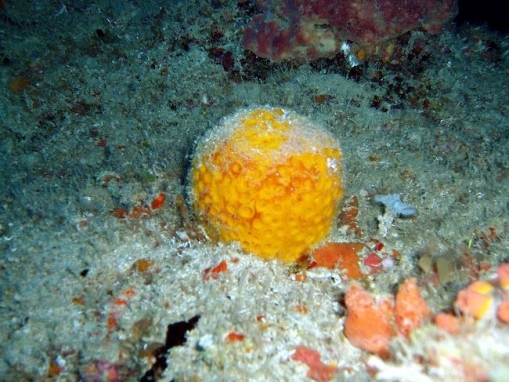 There are two species, whose appearance is very similar. 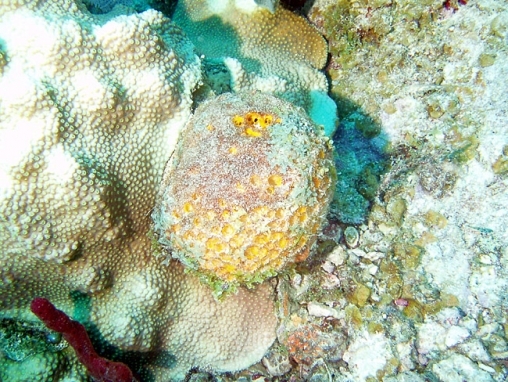 C. alloclada has a clean skin (and is sometimes called the Mango Sponge), while C. kuekenthali is rougher, with the pits commonly full of sand. 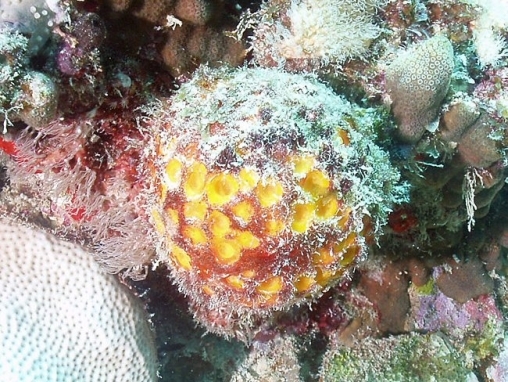 In some intermediate forms only a single difference in spicules can help distinguish the species.